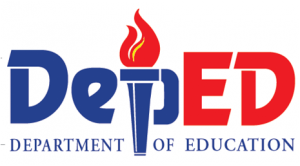 The Department of Education (DepEd) declared the day of 2014 Graduation ceremony on March 27 and 28 in all Public schools (Elementary & High Schools) in the Philippines. This announcement was based upon DepEd Order #10 series of 2013. DepEd Spokesman Assistant Secretary Tonisito Umali cited that the force collection of graduation fees are prohibited. But he noted that all the principals, Parents Teachers Associations (PTA’s) of public schools are welcome to collect graduation fees just to make this memorable occasion. But then again, the graduation fees should not become the main reason for student who couldn't attend the graduation rites, according to DZMM. So for those who will violate the DepEd policy, you may call their Hotline at (02)633-1942 or (02)636-1663. You may also send text message to 0919-4560027 for graduation information concerns. For the meantime, while waiting for the update, please bookmark it now or visit this site more often for you to be updated. You may also share this post to your friends so they may know about 2014 Graduation Day schedule for Public schools. Comments or suggestions about "2014 Graduation Day set on March 27 & 28 by DepEd" is important to us, you may share it by using the comment box below.